During the listening component, candidates will listen to a variety of audio with various English accents and answer questions. Each correct answer is worth one point, with a maximum possible score of 40 points. The number of correct answers is called the Raw Score. 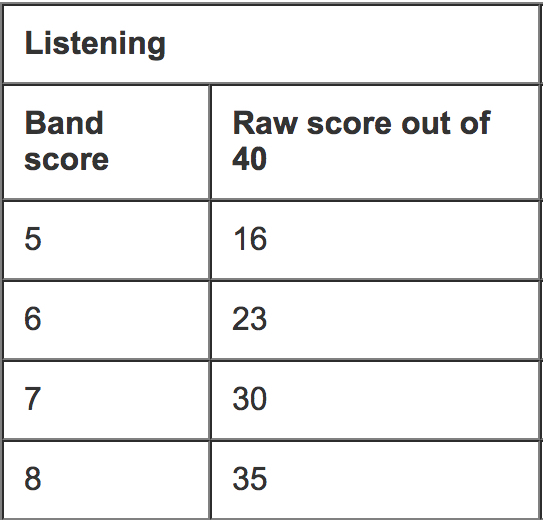 A candidate’s Raw Score out of 40 is then translated to an IELTS Band Score for the listening component. Candidates’ Band Score from the listening component will be added to the other IELTS test components and the average is calculated to give the final score. Because the IELTS test is always being updated, minor differences in difficulty are possible across different IELTS tests. To account for this, the Raw Score required for a given Band Score can vary from test to test. This ensures the results of all candidates relate to the same achievement scale. 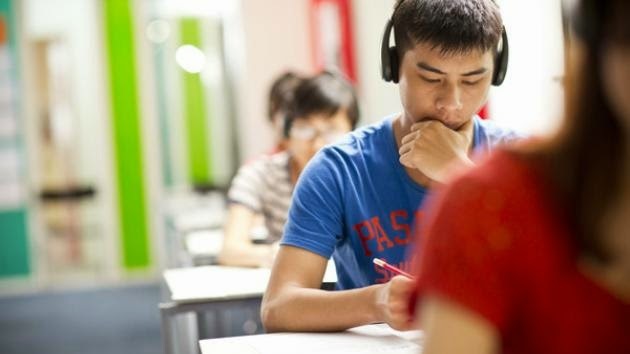 The Reading component of the IELTS test is very similar to the Listening. Candidates will read from a variety of texts and answer 40 comprehension questions. The Academic and General Training versions of the reading component are scored in the same way but present candidates with different genres of text. Because Academic texts tend to be more complex and have a more advanced vocabulary, the General Training reading component requires more specific answers to achieve a given Band Score. That’s everything you need to know about how the Listening and Reading components of the IELTS test are scored and evaluated. Be sure to check out our explanation of how the Writing and Speaking components are scored.